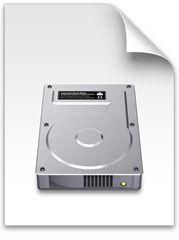 DMG files are disk image files used by Macintosh OS for backing up CDs or DVDs. They are specific to Apple computers only. In order to view this file extension you need a Mac OSX system. DMG files are used to store all types of data like pictures, movies, documents, software etc on a virtual drive and the file transfer is very easy. You might want to take under consideration that the only OS capable to read all files like real disks is Macintosh. If you’re on Windows, you should use dmg2iso software to convert DMG files to ISO files and to be able to run on your computer. Macintosh OS X is the one who creates them with its feature called Disk Copy and is able to read them as normal true CDs. After converting to ISO, images can be easily burnt to a CD using any burning tool or they can be mount as virtual drives with apps like ISO Hunt or Daemon Tools (and there are many more). To open .DMG files you can also use the IsoBuster program and you can convert the files into ISO files after you perform the extraction of the files. As a general fact, some DMG files can be protected via password and cannot be mounted through additional software. Unlike ISO files, DMG files cannot offer a medium for storage and the information can only be transferred on CD or DVD or directly on the Internet. The image is mounted on the system and then the operating system will create a drive icon on the sidebar of the desktop. Burning a DMG file can be easily done by dragging ad burning the image and the result will have similar format as the original image. To un-mount the DMG files you can only click on the eject image on the desktop. The short keyboard command for this is CMD E, but if you want to benefit of the latest upgrades when using this function, it is very simple to upgrade your entire operating system. The DMG files can be erased from system but there is the possibility of reinstalling and even store them. To do this, it is not compulsory to have the original CD as you may find residuals in the hard drives. Also, DMG files have different formats, so a special software is required to mount them, such a program would be TransMac. This type of file is used by Oracle Export and Import Utility. Firstly, there’s really no need of converting files to ISO etc to read them on your Windows PC. We have the DMG Extractor that simply extracts data for us into readable Windows formats. Secondly, it would be just great if we all see some DMG Extractor articles, I just discovered it and I’m curious to know more about it, it seems to work quite easily.